Snapchat is doubling down on private messaging as Instagram and Facebook Messenger clone and steal usage from its Stories feature. Snapchat first started testing this last week in Android beta but today it rolls out to everyone thanks to an iOS and Android app update. Snap acquired Bitmoji in March 2016 for $64.2 million to allow you to make avatars that look like you and send them as stickers in Snapchat. To add Bitmoji widgets on iOS, swipe right from your home screen to the Today screen where you see your existing widgets. 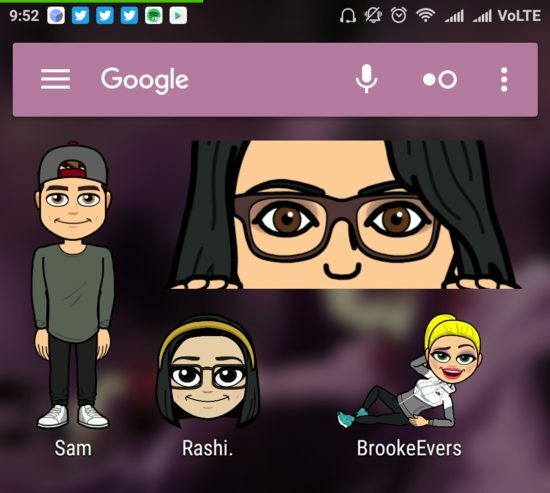 Scroll down to “Edit,” add Snapchat and your “Snapchat Best Friends” (based on your interaction) who have created personalized Bitmoji avatars for themselves will automatically appear as widgets on the home screen. Tapping the widgets launches a chat with them. On Android, you tap and hold on an empty part of your home page, select “Widgets,” choose Snapchat and choose up to four friends to make into home screen widgets. While Facebook might be throwing all its might behind cloning Snapchat Stories, it hasn’t so aggressively copied the disappearing messages that Snapchat started with. By redoubling its efforts in chat, Snap could entrench itself as the most casual, low-pressure way to talk with friends since all messages delete themselves by default.